By popular request, the ICC is making the ENTIRE broadcasts of the World Chess Championship available so you can live and relive each game! Two generations of chess champions are going to clash again, in what we could call a classic rematch, in Sochi, Russia, from November 8-27. After his defeat in the 2013 World Championship Match Vishy Anand, the gentleman from India, managed to win the Candidates tournament and now, with reversed roles, he is the challenger to Magnus Carlsen's throne. 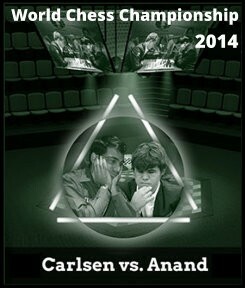 The WC match is the most awaited and important chess event of the year. Millions of chess-lovers will follow the games over the internet, and the Internet Chess Club is going to offer its members the best live commentary ever. Chess personalities and chess champions from all over the world will be in the virtual booth to commentate on this amazing event.